Baking soda has long been known for helping you to keep your mouth healthy. It could be used on its own, as an ingredient in toothpaste, or even in combination with your favorite toothpaste. It can also be used with a bit of water to help neutralize any acids you may have in your mouth from something you ate, drink, or even if you are struggling with the stomach flu. Your teeth like having baking soda around. It helps them look and feel better, all at the same time. By using baking soda, you give your mouth a less acidic pH, which is good when it comes to fighting off the bacteria in your mouth. These bacteria thrive in acidic environments, but don't like when the pH is alkaline. 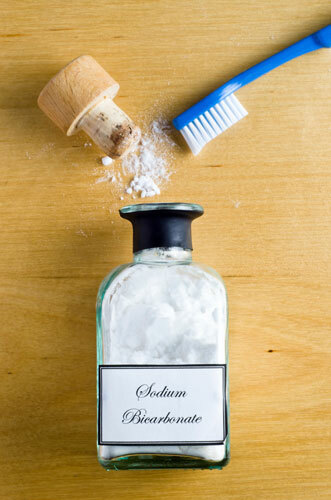 There is a very fine abrasive quality to baking soda, allowing it to help polish your teeth while you brush. This lets your teeth get whiter with each use, without the damage that other, more abrasive products may cause. Baking soda can also remove plaque from your mouth. When used with brushing, it can remove plaque buildup from on your teeth, plus along and just below the gum line. It is gentle and won't rip up your gums, making it the ideal complement to your current toothpaste. By simply dipping your toothbrush with toothpaste already on it, into a tiny bit of baking soda, you can give your mouth all of these benefits. The baking soda will leave your mouth healthier, leave it feeling cleaner, and even leave it looking better. If you do it with each brushing, you will be able to see and feel the benefits in a very short time. For more benefits of baking soda, contact our office.